In 1911 the first story about a fictional hero with super-powers was published in France. Le Nyctalope, or Léo Saint-Claire as his Christian name was, could see in the dark, and he had an artificial heart. In his first adventure, Le Nyctalope has to stop the evil Oxus from taking over Mars and creating an army of super-soldiers. While his powers seem a little meek by modern standards, they represented a break with the earlier heroes of popular culture. 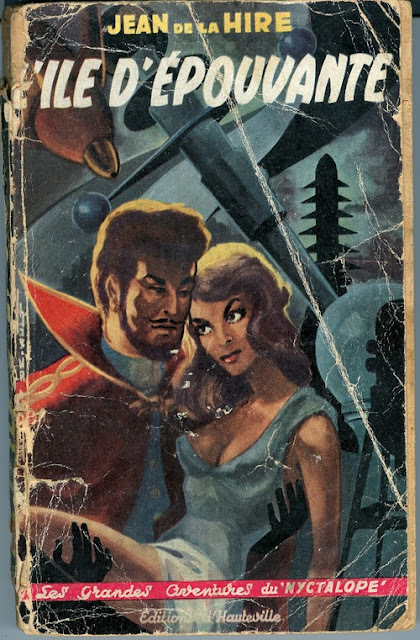 Sherlock Holmes and Rocambole, while being quite extraordinary, were normal humans. The Nyctalope (as he's called in the English translations) represented the dawn of a new age: The Age of the Superheroes. The first female superhero was Fantomah, making her first appearance as a back-up character in 1940. 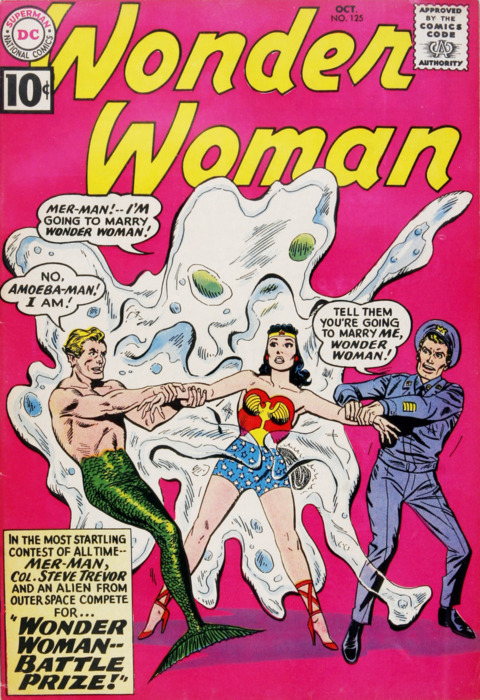 Wonder Woman appeared a year or so later, and by now supers seemed to crawl out of the woodwork. 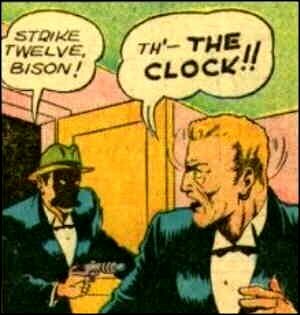 Another landmark that should be mentioned, is 1936, with the appearance of the first masked superhero, The Clock. 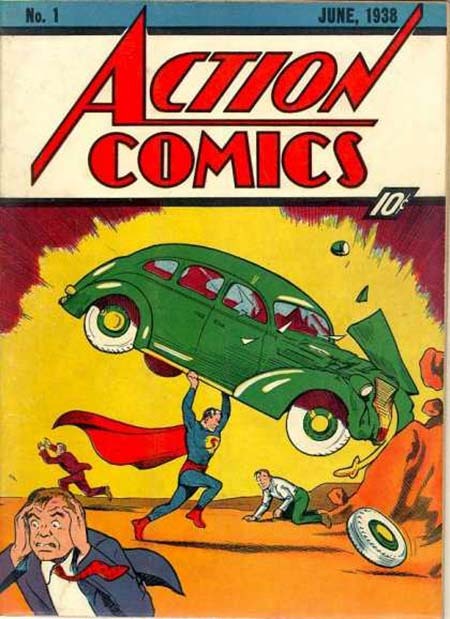 Lastly, I can't end this post without mentioning one of the biggest milestones in superhero-history, the arrival of Superman, in 1938. Fantomah is a weird one--but then just about everything from Fletcher Hanks was weird. Yes, she truly is. I must confess I'm not really a superhero-fan, but when I stumbled across Le Nyctalope, I thought it post-worthy. I aslo needed a filler-post for yesterday. "I Will Destroy All Civilized Planets," the Hanks anthology is weird- weird like it makes my brain hurt every time I read it.